Dumbo is one of several Disney live-action remakes coming out this year, including Aladdin and the CGI-ed The Lion King. It does seem like Dumbo is taking the most liberties from its classic animated film. We still get to see the adorable elephant fly, but there’s a lot more going on with the humans around him. 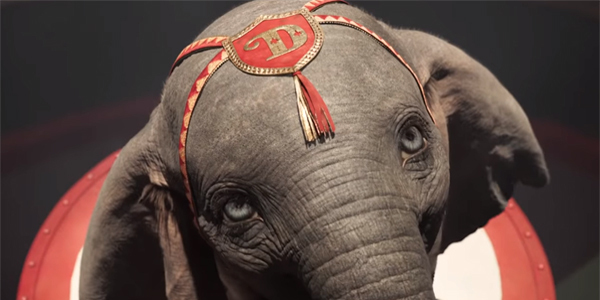 In Tim Burton’s 2019 Dumbo, Colin Farrell plays war veteran and former circus star Holt Farrier, who is hired by circus owner Medici (Danny DeVito) to care for the newborn elephant. Michael Keaton plays the ruthless V.A. Vandemere, with Eva Green as French trapeze artist Colette Marchant, and Alan Arkin as Wall Street tycoon J. Griffin Remington. Young Nico Parker and Finley Hobbins play Holt’s son and daughter. The first trailer came out early last year and gave us that haunting rendition of “Baby Mine.” A full trailer came out a few months ago, showing us more of the new characters. This new trailer, released February 10, emphasizes the playful side of the movie. The word “fun” isn’t always associated with Dumbo, which — along with Bambi — is known for being one of the more emotional Disney classics. Dumbo is a naturally sad and troubling story, and with Tim Burton as director you know he’s going to play to the dark edges. But he’s also likely to find the whimsy, wonder, and heart. We’ve already had a taste of that in the trailers.